Why is it that your feet or toes feel cold? Cold feet or toes can be caused by a great many things and the feeling of cold toes can sometimes be the first sign of a more widespread disease. On the flip side, you may know that you have one of the following conditions, but not realize that that condition is linked with your symptoms of cold toes. * Poor circulation: Poor circulation is a term used frequently to describe a couple of conditions. 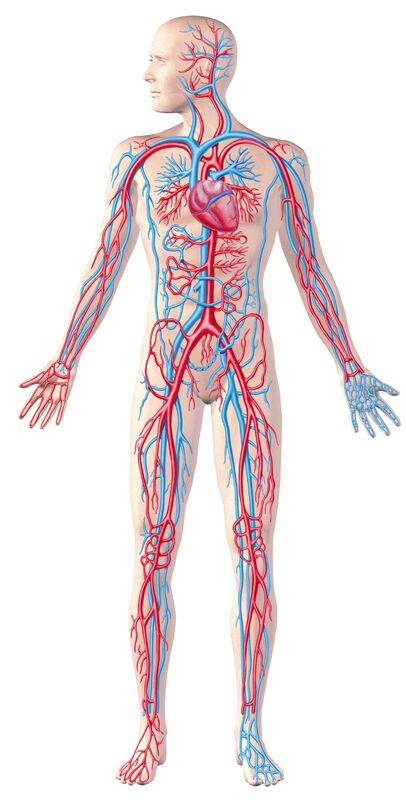 The blood in the body circulated through the heart, arteries and veins. When coldness is felt in the toes, feet and sometimes fingertips and the cause is poor circulation it indicates that the blood from the heart is not adequately reaching the these areas. The reason that toes can feel cold before other parts of the body is because of how far the toes are from the heart. Peripheral vascular disease describes any condition such as this, where either the heart or arteries are diseases in a way that doesn't allow good perfusion of the tissues. Arteriosclerosis is another disease of the arteries when there is build up on the inside of the vessels which decreases blood flow to certain areas. In addition to physically feeling cold, severe circulation problems cause pain in the toes as the tissues are essentially suffocating without adequate amounts of oxygen reaching these areas. * Cold Exposure Injury: This refers to frost bite or frost nip. Of course the toes will feel cold during the time of cold exposure, these symptoms can last and be re-aggravated - especially in cold whether. The small vessels in the toes may not recover completely after this type of injury and can the exposure to cold can also damage superficial nerves which then may transmit signals of cold, heat, tingling ... even if there isn't anything physically damaged on the skin. * Metabolic Disease: There are many metabolic diseases. A very common metabolic disease is diabetes, which can be related to a cold feeling in the toes. People with diabetes and cold toes are actually experiencing this feeling due to poor circulation due to chronically elevated blood sugars causing narrowing of blood vessels and decreasing blood flow. A thyroid that has imparied function (hypothyroidism) can also cause a feeling of coldness in the toes and feet. The thyroid normally helps to warm the body. When it isn't working properly, it can may not be warming you as much as it should! * Reynaud's Phenomenon: This one is a mouthful I know! This is a condition that is not yet completely understood, but it is believed to be caused by a relationship between the small nerves that innervate the blood vessels in the toes and fingers. In Reynaud's phenomenon, there is hypersensitivity to cold that causes pain, a feeling of cold and also color changes to the skin of the toes and fingers (white, blue, red). This typically resolves once no longer exposed to cold. However, emotional stress can also trigger this reaction. * Other: Some people just feel like they have always had cold toes and feet. If no other diagnosis is found, this may just be how your body works. It could also be due to stress. I have also had people concerned about cold, clammy feet and toes. This may be due to hyperhydrosis, where your body sweats excessively. If you don't wear socks, you can experience this same feeling. If you are concerned about cold toes or feet, make an appointment for evaluation today! If any of our doctors is concerned that there is more than meets the eye, we'll lead you in the right direction for treatment!